Thomas J. Bickford, with Heidi A. Holz and Frederic Vellucci Jr., Uncertain Waters: Thinking About China’s Emergence as a Maritime Power (Alexandria, VA: CNA China Studies, 15 September 2011. China is an emerging maritime actor with expanding interests in security at sea. As a consequence, the capabilities of Chinese maritime security forces are improving, missions for the People’s Liberation Army Navy (PLAN) are expanding, new actors and bureaucratic interests are emerging, and some observers feel that China is now more willing to challenge the interests of others in the maritime domain. 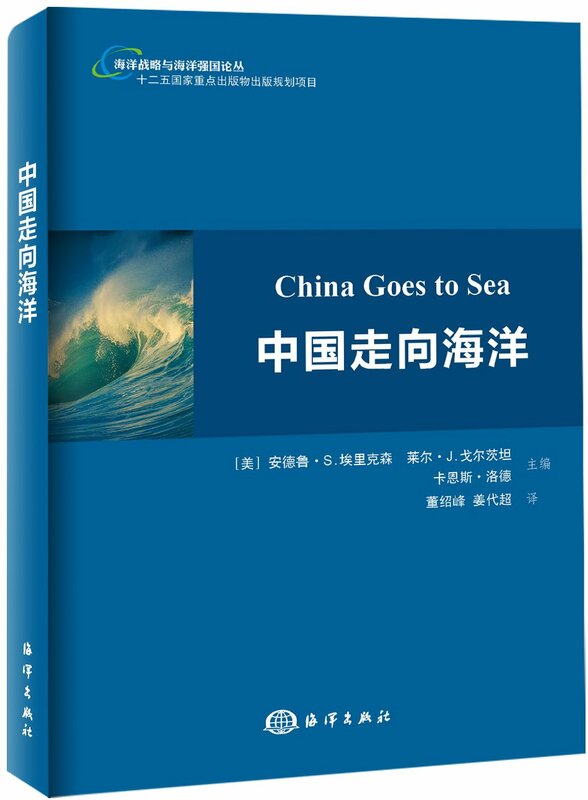 CNA has undertaken this study to provide strategic-level context in order to foster discussion and debate about China’s maritime rise and its implications. China is in the midst of an important and potentially far-reaching reassessment of how the maritime domain fits into its national security calculus. China’s expanding global economic interests are reshaping its defense and security outlook. Chinese political, economic, and military elites are trying to make sense of China’s role in the maritime domain and understand the full implications of that role. Most of China’s critical maritime security concerns and the focus of its efforts in terms of traditional security will continue to be close to home. China continues to have vital interests that touch on questions of sovereignty and territorial integrity in maritime areas near the mainland. Until these issues are resolved, a key component of how Chinese policy-makers think about maritime power is their need to develop the means necessary to prevent de jure independence for Taiwan, prevent an attack on the Chinese mainland from the sea, and defend China’s territorial and exclusive economic zone (EEZ) claims. The United States is perceived as the single most important potential security threat and the one actor that could prevent China from attaining its goals with regard to Taiwan and other disputes in regional seas. China’s maritime economic focus will likely be on ensuring access to, and control of, marine resources, guaranteeing freedom of movement of Chinese seaborne trade, and protecting its growing overseas economic interests. Chinese leaders believe that the ability to gain access to, and control of, marine resources—most of which lie within China’s claimed territorial waters and EEZ— is essential for the economic development of the country. Given the importance of these resources to its economic development plans, China is likely to assert its power at times to maintain its access and control over these resources. Determining how to use its current, and grow its future, maritime power to protect its trade routes and overseas interests is of great concern to China. In ensuring and expanding access to the maritime domain, there is a domestic political stake for the ruling regime. There is an important political dimension to the maritime domain in that the oceans matter, at least indirectly, to the Party’s main political interests. Interruption in trade, the blocking of access to scarce resources, or the failure to protect sovereignty or territorial integrity could undermine the legitimacy of the regime. Such challenges could, if tied to other domestic problems, prove a threat to the regime. Because of the political stakes involved, Beijing may be less willing to compromise or yield in maritime disputes and Chinese reactions may at times seem disproportionate to outsiders. Maritime policy-making and implementation is becoming more complex and diffuse due to the rise of new bureaucratic actors—the PLA Navy is just one of those actors. There are more actors involved in making and executing Chinese maritime policy than ever before. The maritime domain is an example of how China’s interests are expanding faster than the institutions’ ability to manage them. China remains focused on building an “offshore” navy that can defend China’s territorial and economic interests in the Yellow, East China, and South China seas and just beyond the First Island Chain. This area has the highest concentration of Chinese maritime security concerns. China has sovereignty and territorial disputes with all of its maritime neighbors. All of China’s potential maritime adversaries are either located in this area, or in the case of the United States, have forces in the region. At the same time, China is actively discussing the need to develop a “distant seas” navy—not in an effort to sustain global operations but rather in order to project a global presence and secure its interests. In order to address the growing need to operate far from home, China is discussing the need to further modernize its forces, develop new operational missions, and establish berthing rights and a possible forward presence so that it can deal with future contingencies in seas outside of the Western Pacific.